Australia is a leader in international efforts to incorporate gender considerations into peace and security policies. Nonetheless, the Australian government retains blind spots that must be addressed. Through Australia’s National Action Plan on Women, Peace and Security 2012-2018 the Australian government has committed to ensuring that a gender perspective is incorporated into all areas of Australia’s peace and security policymaking and operations. However, in a civil society shadow report released this week, it has been argued that, while Australia has made a good start on this issue, there’s still a long road to travel before Australia can claim to be consistently incorporating the United Nations’ Women, Peace and Security (WPS) agenda in its foreign, aid and defence policies. 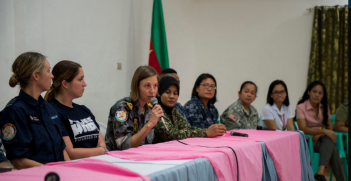 In short, the government should develop the confidence to confront the gender politics at the heart of today’s major peace and security challenges. This is what is necessary for the UN’s WPS agenda to transform global peace and security. The UN’s WPS agenda—based on a suite of eight security council resolutions beginning with UNSCR1325 (2000)—acknowledges the unique impact that conflict has on women and girls. It further seeks to redress the historical exclusion of women in peace and security decisionmaking. To do this, the agenda rests upon the pillars of the protection of women and girls from conflict-related violence, the participation of women in decision-making forums, the inclusion of a gender perspective in peace and security and, importantly, considering women’s involvement in the prevention of conflict. Australia has shown strong global leadership on this agenda. 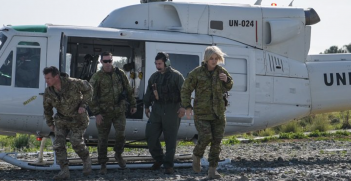 This leadership has been demonstrated during Australia’s term on the UN Security Council when it was pivotal in co-drafting two WPS resolutions (UNSCR 2106 and UNSCR 2122). At home, a number of government departments have committed themselves to addressing the under-representation of women in peace and security organisations and leadership roles. This is demonstrated in the Pathways to Change program in the Australian Defence Forces and in the release in 2016 of the Department of Foreign Affairs and Trade’s ‘Gender Equality and Women’s Empowerment Strategy’, which establishes a gender equality strategy within the organisation and in its external activities. This is important work. But we can do more to ensure a truly transformative impact for peace and security and for the lives of women and girls affected by conflict. 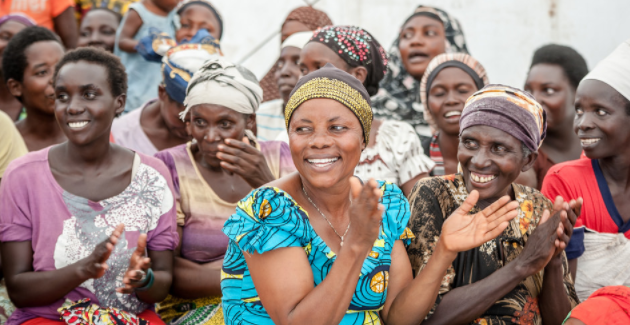 Emerging research demonstrates the very tangible link between women’s participation and peace. This is true in formal peace processes, as well as informal peacebuilding activities. Research shows that where women are involved in formal peace processes, an agreement is more likely to be reached and implemented. We also know that societies which have greater levels of gender equality are more likely to be stable. Yet this research is not being consistently put into practice. While a number of Australia’s aid and development programs are insisting on gender-aware design, it is frequently missing from the more difficult challenges. The effort to bring about a resolution to the conflict in Syria is one example. 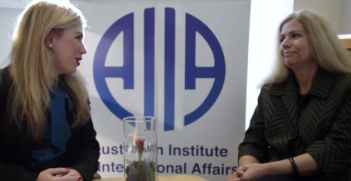 Australia has the credibility to be a global lead on women’s participation in peace processes. During its security council term, it was a major contributor to efforts to end the conflict in Syria. It therefore has the connections to advocate more strongly for women’s participation in the peace process, yet it has not. Until recently there were no Syrian women at the negotiating table and even now they remain woefully under-represented. Despite its commitments to UNSCR1325, Australia has not offered a strong public voice that insists upon women’s inclusion. It is important to recognise that the inclusion of women in peace negotiations is unlikely to derail peace talks. It is more likely to facilitate them. Asylum is a controversial, highly politicised—and frequently securitised—issue in many Western states. It is not surprising therefore that the Women, Peace and Security agenda is marginalised within debates on how to best address it. It shouldn’t be. It is tragically ironic that the Australian government should advocate strongly for protection from violence for conflict-affected women while they are in conflict zones but not afford them that same protection when they seek asylum in Australia. There needs to be a difficult, yet open conversation within government about this inconsistency. The Department of Immigration and Border Protection needs to be schooled in the ethics, research and responsibilities of Women, Peace and Security to ensure that their treatment of conflict-affected women is consistent with the values espoused in the government’s national action plan. It is time for Australia to join the dots. If Australia wishes to consider itself a global WPS leader, it must rectify this blindness. The global spread of radicalisation and acts of terrorism is a major challenge of our time. Experience shows that women play different roles in violent extremism. They can get radicalised and perpetrate violence themselves. They may be affected by terrorist attacks directly or indirectly. They can be either harmed or their freedoms can be limited due to the threat of violence. They can be also crucial actors in preventing and countering violent extremism. Understanding these different roles is necessary for successful prevention and response. Yet the recent statement by Minister for Foreign Affairs Julie Bishop on countering violent extremism is silent about any plans to integrate a gender perspective across Australia’s efforts. Moreover, the current policy framework, Development Approaches to Countering Violent Extremism (launched in March 2017), only sidelines women’s roles, making this another example of a WPS policy area where Australia can do better. The Women, Peace and Security agenda is relevant to every foreign and defence challenge Australia faces. Moreover, research demonstrates that closer attention to the principles in the agenda leads to stronger, smarter, more inclusive and more effective policy. It is now time to begin planning for Australia’s second national action plan. Australia has made an important start in laying the foundations of a WPS culture at home and a WPS leadership role globally. However, to make a transformative difference to global peace and security, Australia should demonstrate a clear willingness to lead the charge on integrating WPS into the tough global challenges of our time. Associate Professor Katrina Lee-Koo is deputy director of Monash Gender Peace & Security (GPS). Barbara K. Trojanowska is a PhD candidate at Monash GPS. Luke Johnson is an international relations student at Monash University and an intern at Monash GPS.